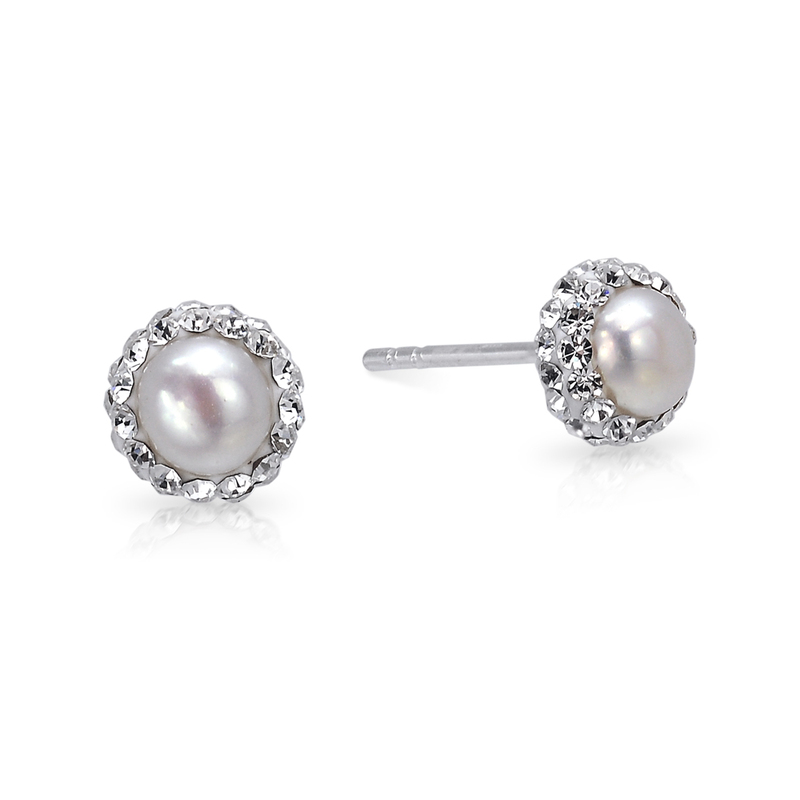 Beautiful Fresh Water Pearl Studs. These Beautiful Fresh Water Pearl Studs have a Pretty Fresh Water Pearl in the center surrounded by Lovely Clear CZ Crystals. They are just under 1cm wide. Matching Pendants also in stock. This website is strictly for approved Wholesale customers only, if you are looking to purchase these Beautiful Fresh Water Pearl Studs from a retail store, please visit Shooting Star.